Another day, another mega tower in Melbourne. Developer DEXUS Property Group has revealed its plans for two new residential towers - one measuring 212.1m in height - at its 32-44 Flinders Street site in Melbourne. The new plans come after the developer scrapped an earlier proposal for a 56-level tower. According to the Development Application, DEXUS Property Group is looking for planning approval for two residential buildings with a combined 625 apartments. ALSO SEE: A New Mega Tower for Melbourne? Designed by SJB Architects, the development would include a 65-level tower at 212.2m high, and another 11-level building at 44.05m high. Apartments would range from one bedroom/one bathroom designs to three bedroom/three bathroom designs. DEXUS Property Group has proposed 427 car parks and 216 bicycle bays over four basement levels, three separate amenities levels and three ground floor commecial tenancies (194sqm in total). The site is currently home to a Wilson Car Park with 561 car park spaces over 10 levels. 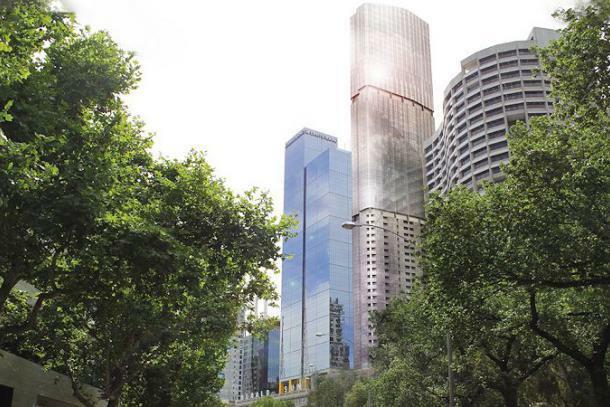 Other proposed 200m plus mega towers for the Melbourne CBD including Brookfield Multiplex’s $300 million, 72-level Prima Tower in Queensbridge Street (the second tallest in Melbourne) and UEM Sunrise’s 92-level Aurora Melbourne Central (the tallest residential tower). An Adelaide Smith recently also lodged an application for a 68-level tower in 478 Elizabeth Street, which is expected to be over 200m.